About the resolution of the games. Imagine yourself inside your creation. I am not new here, but now I am registered. I love the Wadjet Eye games, but I would like to play a more detailed game. Almost the totality of the games here are made in low resolution. In my opinion there is no reason to make a game this way. We have painter 12, photoshop and a lot of usefull tools to make it really well. What do you think guys!? I am working on a game since 2013 and I will show you soon. Santa Maria, RS - Brazil. Re: About the resolution of the games. I think there's a certain charm in the 320x200 resolution when done right. I can understand you'd want to take advantage of modern technology and resolutions. But that also drives up the production costs by ALOT. Consider painting a beautiful image at 320x200 compared to 1280x720 - there's room for much more details in the latter - and details take a lot of time and in turn the costs go up. Since adventure games are a niche genre making games in a higher resolution would make each game a higher risk project. I'd prefer Wadjet Eye keep going rather than risking it all on one project and somewhat fail due to not selling enough to make the money back in the first year. However I think you'll be happy to hear that David Gilbert has upped his resolution on his new game Unavowed - the pixels will be visible, but to a smaller extent. As a sidenote - I'm also working on a game with a hd resolution - but I'm highly sceptical that it will be worth (monetary) the time spent in production when I release it. It's ok however as I'm doing it as a hobby so far on the side of a full time job - but once you run a company and try to live off from it - it's a whole new deal. In my opinion there is no reason to make a game this way. I can think of several! 1- Money. Higher quality costs more. 2- Time. More detailed characters means more frames of animation. Takes much longer. 3- Effort. At a higher fidelity you need to work a lot harder to make it look decent. 4- Return. All the extra money, time, and effort has to result in a much higher profit, or else none of the above it worth it. I like this low resolution (except the fact that I don't really perceive it as "low", probably because I mostly play retro games - either 80s-90s or in 80s-90s style), I think it's a part of the game's charm. But what I like most is the drawing style. I like the hand-painted style very much and I also greatly enjoy good EGA graphics. 320x200 was a high resolution for the period of EGA and it allowed really beautiful effects (known examples: DOS version of "Loom", Sierra games after the switch to SCI engine, but before VGA). I also like some cartoony style (Humongous Entertainment children's games - yup, I'm a childless adult child and I like many texts of culture created for children). On the other hand, I greatly dislike photo-graphics (example: "Gabriel Knight 2") and 3D - for me it takes away the charm. So, altogether, I probably prefer this resolution which is now considered low because it's a step back to a style of graphics which was abandoned in favor of things which, in my opinion, looked much worse. So, altogether, I probably prefer this resolution which is now considered low because it's a step back to a style of graphics which was abandoned in favor of things which, in my opinion, looked much worse. I think that to us (users) THIS is the main reason why low resolution is a good way to go for Wadjet Eye, I assume it's a matter of heart and nostalgia. Although I can suffer photo and 3D graphics, it just depends on the game really (I've recently played "The dark eye: Memoria" and I found it awesome despite its graphic). Hope Wadjet Eye won't move into the 2000s! Mid-res is about as far as we can go with hand-animated games. If you look at the last pixel art games from the late '90s (such as Baldur's Gate) they are mainly pre-rendered 3D for animations, not true hand-placed pixels like our games. Hand animation at higher resolutions takes too long to be worthwhile. 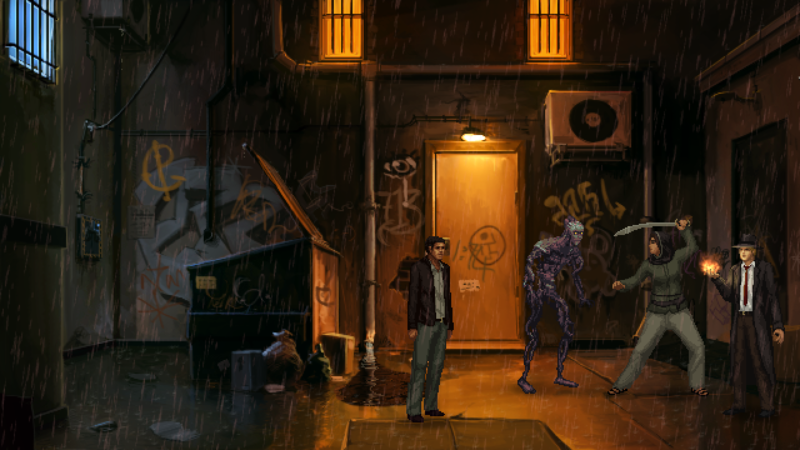 Unavowed looks stunning! I think we'd like to do 3D games, but that would mean we had to vastly expand our team and the funding isn't there! Plus, when you have large teams it's hard work just managing the team - less time for creativity! I really like low-resolution hand painted graphics in games. The high-resolution games work best with either 3D or highly stylized graphics. 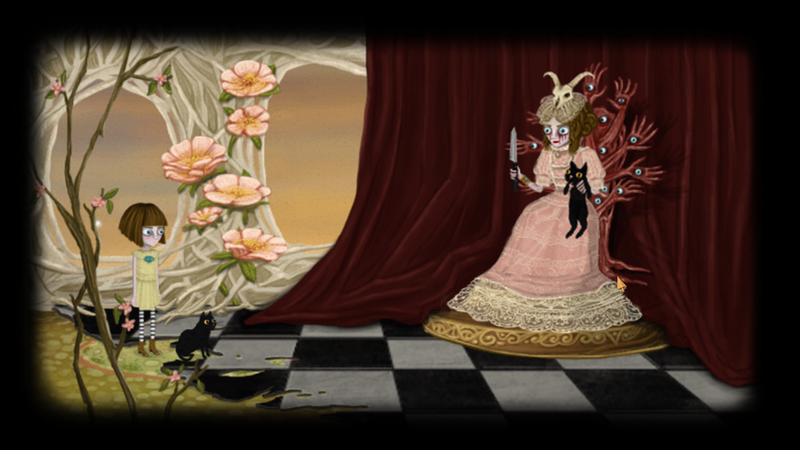 I think Fran Bow's handpainted style looks pretty darn good!